When I heard the first time in 2016 that Tsukiji market was moving at the end of the year to its new location in Toyosu, I knew I had to make a last visit before its closure. I didn’t need to rush, as some difficulties in the construction of the new market amongst other reasons, scheduled first to open at the end of 2016, seems to be postponed to Autumn next year (2018). 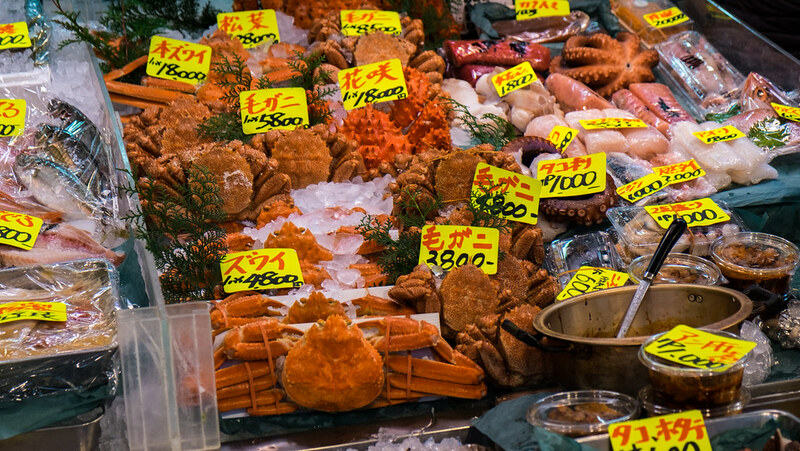 If you haven’t yet visited the Tsukiji market, this year seems to be the last chance. 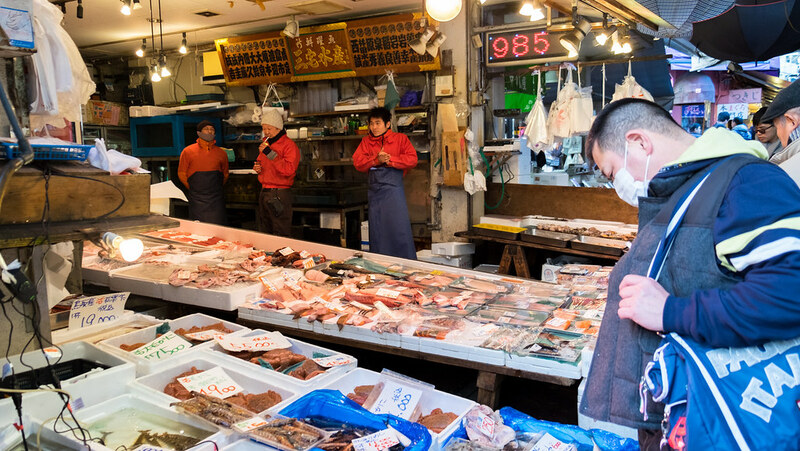 Views of the outer Tsukiji market. 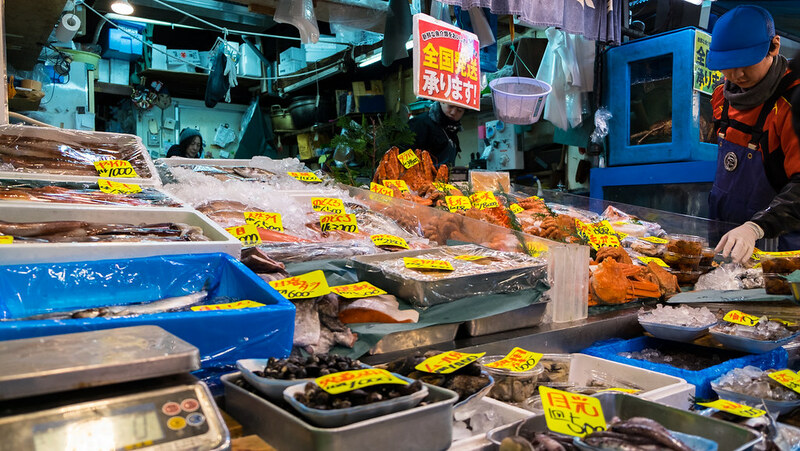 One of the largest fish markets in the World, the famous market in Tokyo started to attract more tourists than it can absorb by capacity. 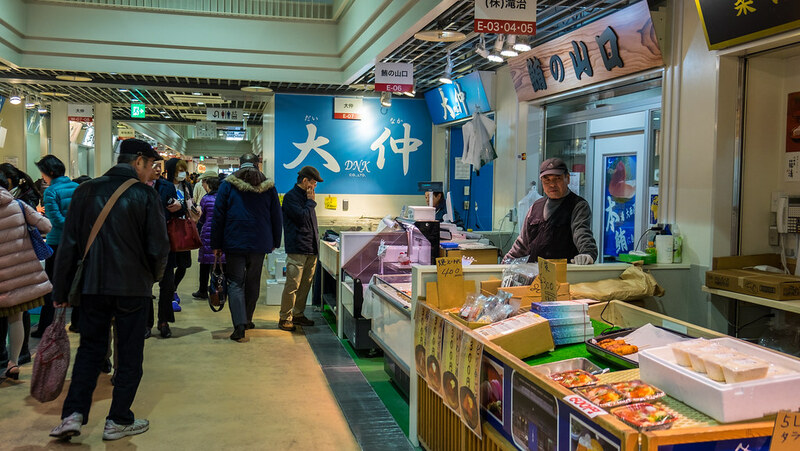 In the recent years, measures had to be taken to control the tourists in the area, to avoid being an annoying matter for those working in the market. Visits to the auction were restricted to a few selected by order of line, being the earliest tourists to arrive the privileged to see the auction. The market admits visitors starting at 9AM, so literally all the activity in the market has finished. In any case, there’s the outer market that keeps the area busy during all morning until lunch time. Long gone are the days where the local Japanese could enter in any of the small sushi places to eat the freshest catch of the day. Now, the most popular restaurants like Daiwa Sushi, have a waiting time of 3 hours outside the shop, everyday. Countless, are the Chinese and other tourists coming from Asian countries occupying the streets of Tsukiji market nowadays. The biggest problem of mass tourism hot-spots. The streets cannot absorb more visitors, the locals are gone from the area and the place surrenders to tourists. 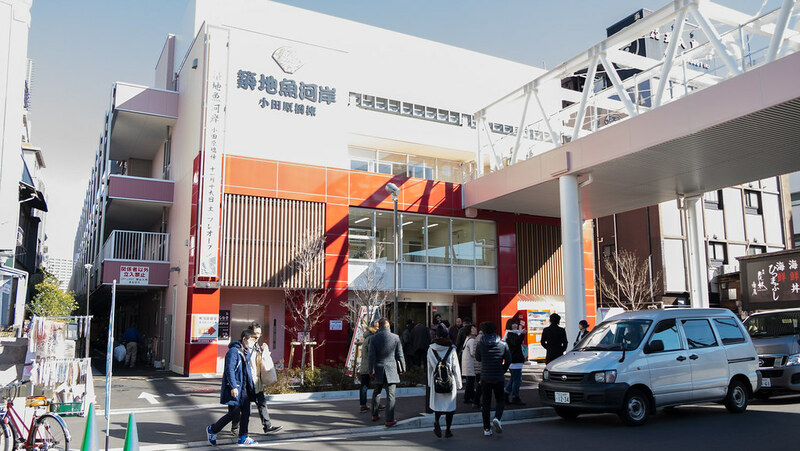 Maybe that’s also one of the reasons that Tsukiji market will be moved to a new area in the future, and design it to be more tourist friendly than the old market. 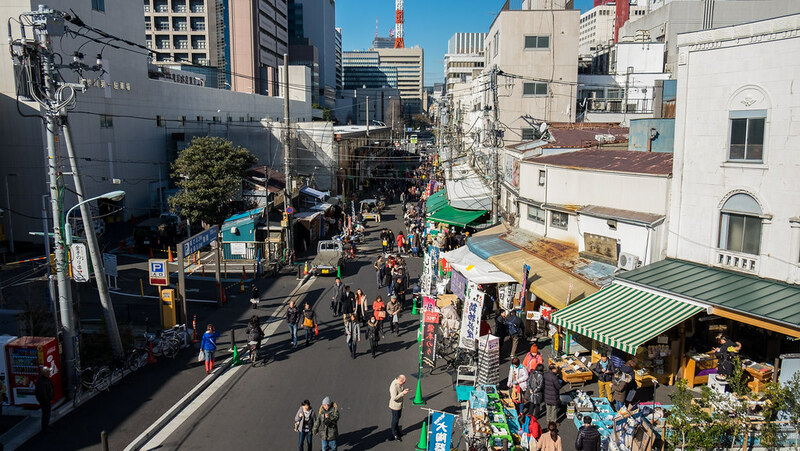 What’s going to be left in the old Tsukiji area? There are many subway station to stop nearby Tsukiji area. The closest stations are Tsukijijisho station on the Oedo line and Tsukiji station on the Hibiya line. From Asakusa line, drop off at Higashi Ginza station, only 3 minute walk. Tsukiji Uogashi. A new building in old market area, but not the new future location. The first time I saw the building, I didn’t know it was a temple. 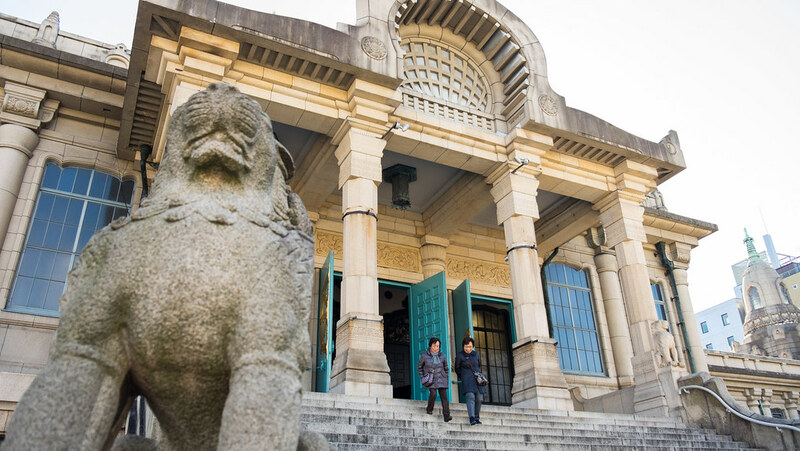 An original temple in Tokyo, by its influence of various architectural styles. The mix of styles represented go from the Roman columns and stairs, the mixture design of the Indian stone exterior, and the pipe organ from Germany. Once in the interior, the decoration and design brings you back to Japan. 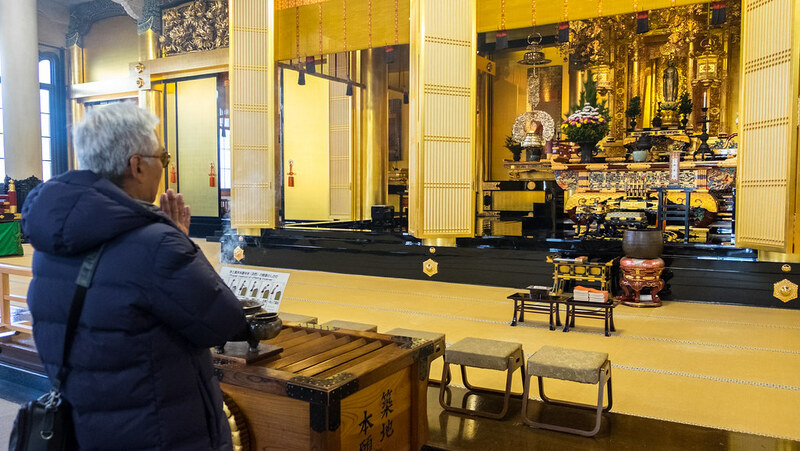 This temple has also been rebuilt, after the Great Kanto Earthquake of 1923. Tsukiji Honganji, not the normal exterior for a Japanese temple. 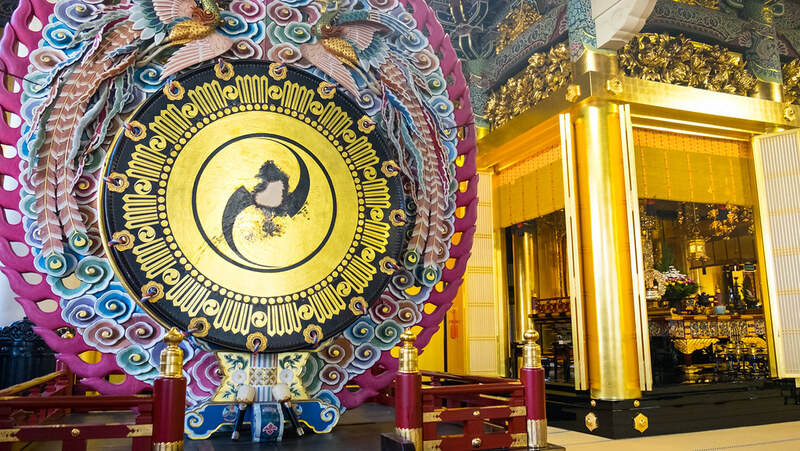 Inisde of Honganji temple, the decoration becomes Japanese again. 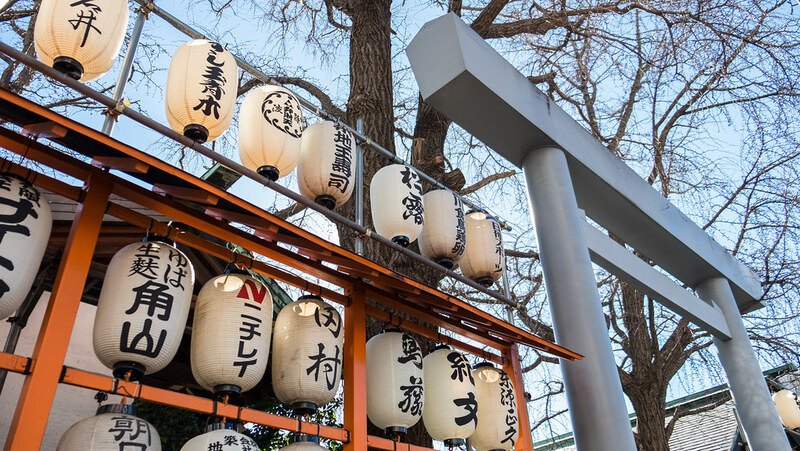 The Shinto shrine is located right next to Tsukiji market, but is not much of attraction for tourists, more deeply concentrated around the shops in the market area. 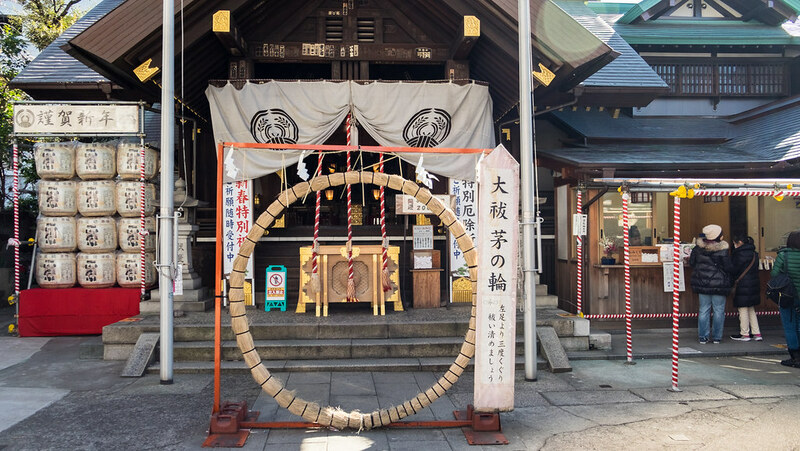 At Namiyoke shrine is where the Tsukiji divinity is enshrined and the Tsukiji Shishi Matsuri happens to visit the shrine and goes all around the district transporting the mikoshi. The lion heads represent a male and female lions. The male lion head weights a ton, whilst the female is slightly smaller and weights 700Kg. Lanterns at Namiyoke Inari shrine. Straw circle, cross through for good luck and soul cleaning. 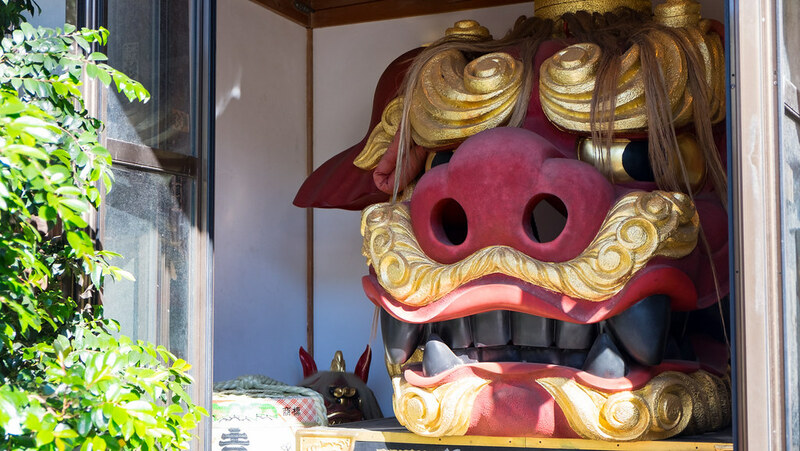 Female lion head at Namiyoke Inari Shrine. 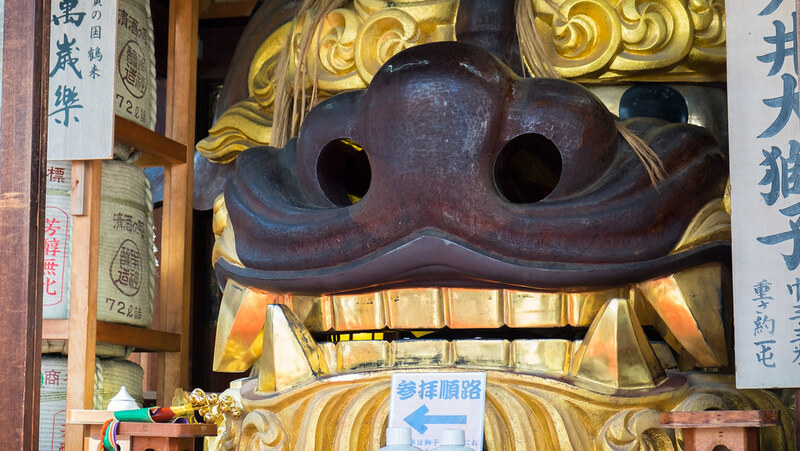 Male lion head at Namiyoke Inari Shrine.